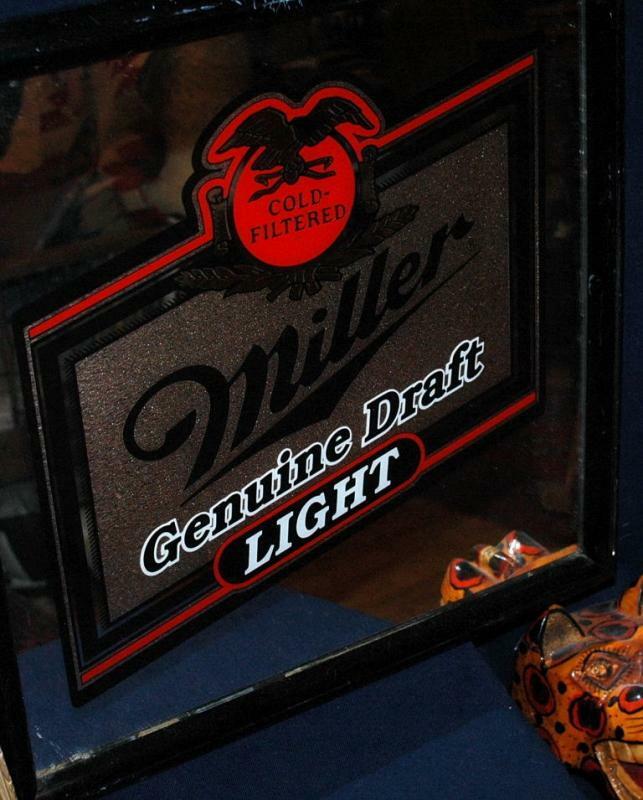 This handsome MGD mirror is in excellent condition. It measures 20" x 20" and has a black frame. 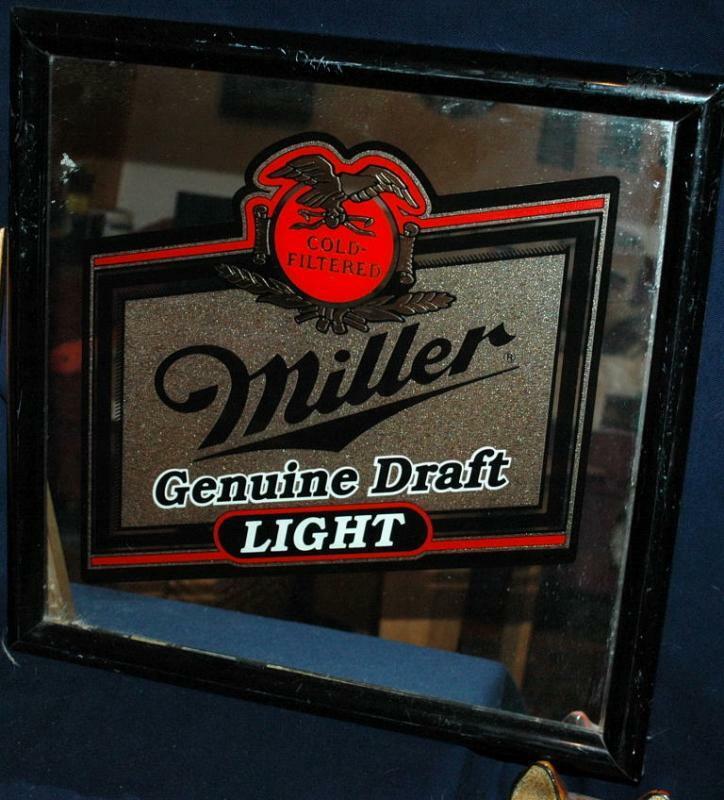 Mirror reads: "COLD FILTERED MILLER GENUINE DRAFT LIGHT" in red, black, and white with a textured gold background. It's sharp looking! 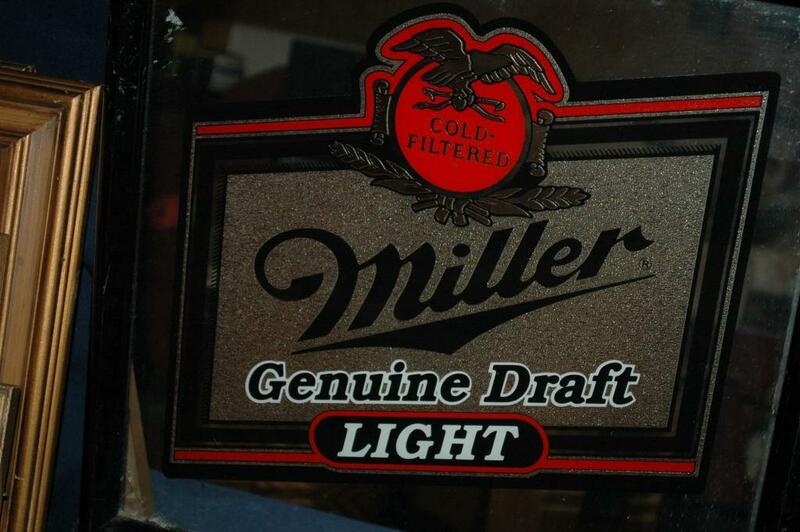 Items Similar To "MILLER GOLD FILTERED GENUINE DRAFT LIGHT GLASS BAR MIRROR"
Golden Crown Draft Beer Bottle Label.